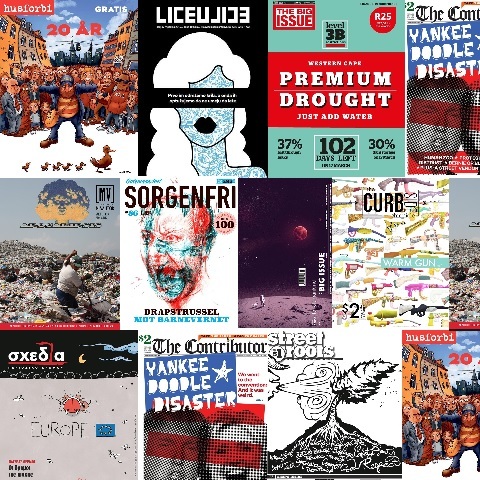 Every week for the past decade, INSP’s unique news agency – the INSP News Service – has provided our members with free editorial content to help them build their capacity and increase vendors’ sales. The online platform also allows our members to share their articles with their sister publications around the world – giving them a global platform to shout about the issues that matter to our movement, such as homelessness, poverty and human rights. The free service is funded by donations to INSP. 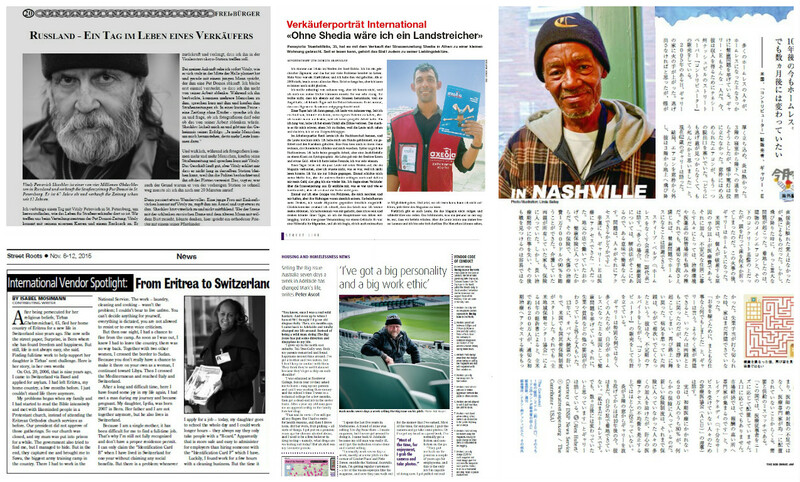 To celebrate the 500th edition of the INSP News Service, we look back at some examples of how a story shared on the INSP News Service can spread around the world… almost like magic! 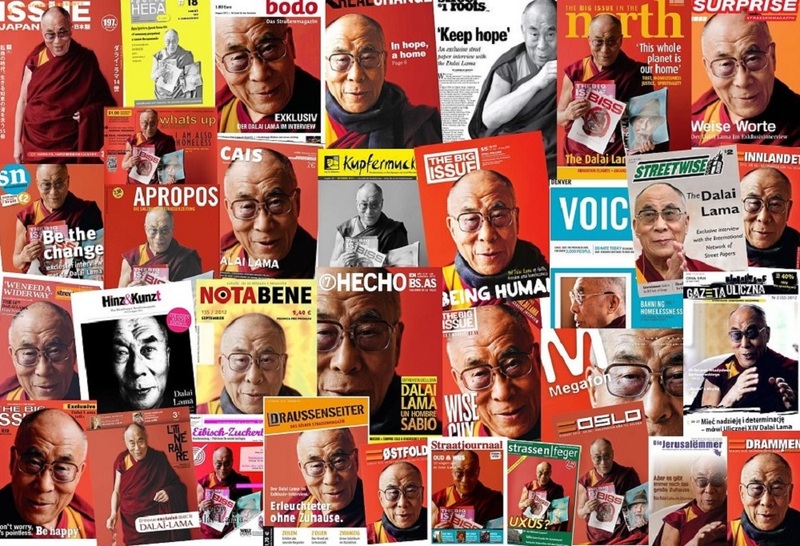 Our exclusive interview with His Holiness the 14th Dalai Lama was shared by over 40 street papers and put £1.1 million in the hands of street paper vendors in 2013. The global street paper movement recently received a blessing from another high profile holy figure. An interview with Pope Francis is currently being shared across the INSP network in nine languages, and counting. It certainly looks like someone’s happy about it. 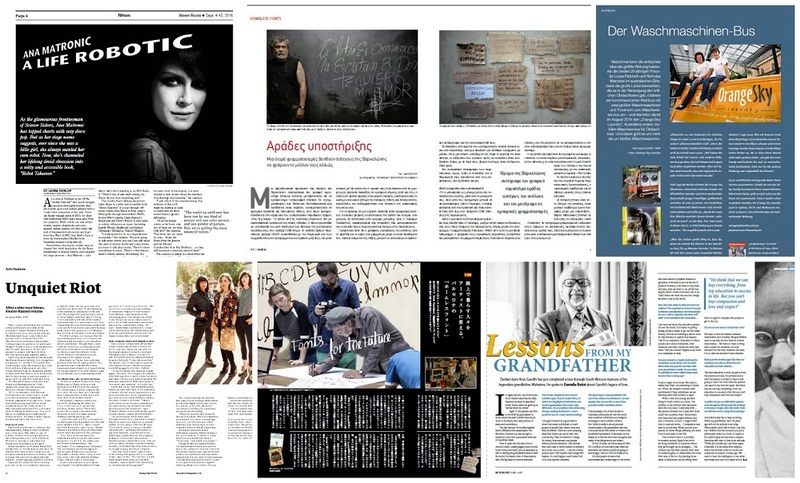 Other popular INSP exclusives include interviews with Arun Gandhi, musicians Ana Matronic and Sleater Kinney, and reports on innovative projects helping the homeless in Barcelona and Australia. Vendor interviews are an incredibly popular feature on the News Service, and are routinely shared by street papers. They simultaneously show that homelessness and poverty knows no borders, and demonstrate the global scale of the street paper movement. INSP also works with a large team of volunteer translators, as well as professional agency Translators without Borders, to allow for the free flow of content across the global network. Some of the examples below include an article on ‘Theatre Therapy’ in Athens (first published in our Greek member Shedia) printed in The Big Issue Japan. You’ll also spot a certain ex-football manager. 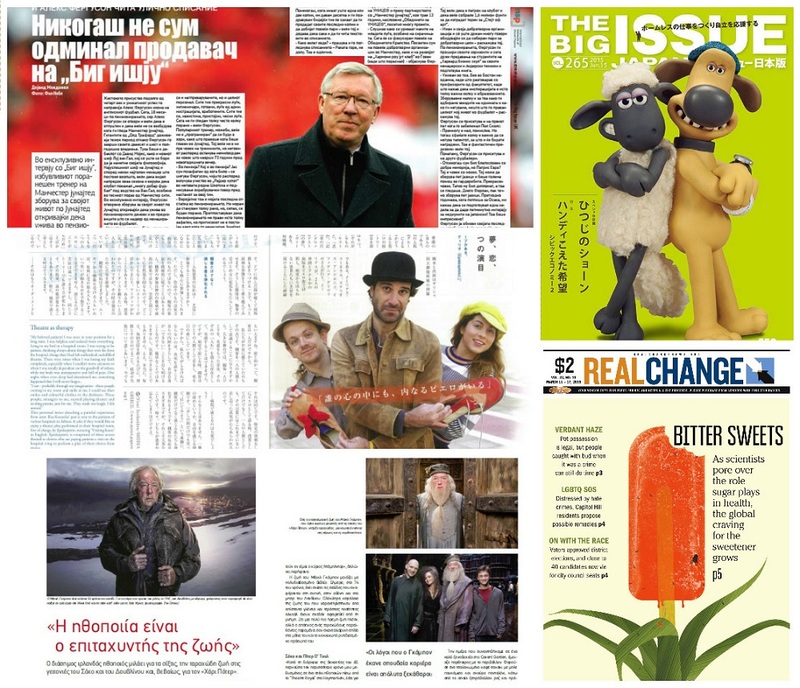 The Big Issue UK‘s interview with Alex Ferguson made it into eight papers in America, Europe and Japan, including Macedonian street paper Lice v lice (below). When a street paper manages to secure a big name interview – it doesn’t just help that paper’s vendors. 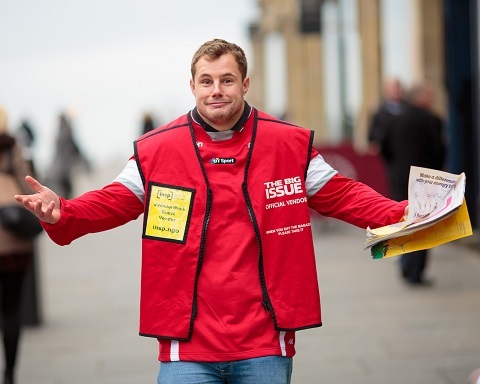 Thanks to the INSP News Service, high profile interviews can potentially help put money in the pockets of the estimated 13,000 vendors selling street papers at any one time. Take this exclusive interview with Taylor Swift, which Nashville street paper The Contributor shared with INSP street papers this summer. 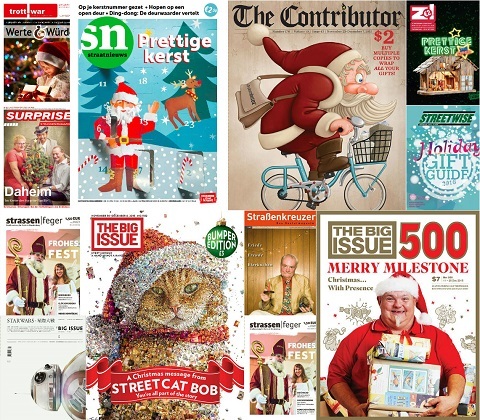 Street papers that ran the story include StreetWise, The Big Issue Korea, Big Issue North and The Big Issue Australia. 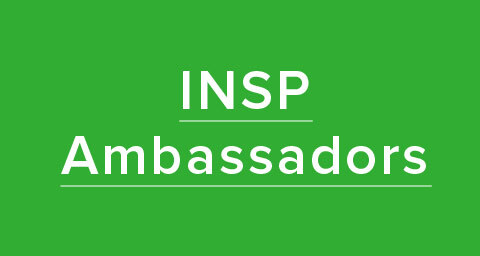 You can read more about how the INSP News Service supports our members here. You can donate to support the INSP News Service and our other projects that strengthen street papers here. 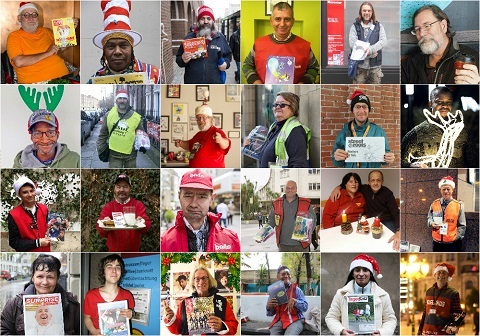 Merry Christmas from INSP – and street paper vendors worldwide! Frohe Weihnachten! Happy Christmas! Wesołych Świąt! Crăciun fericit! Feliz Navidad! 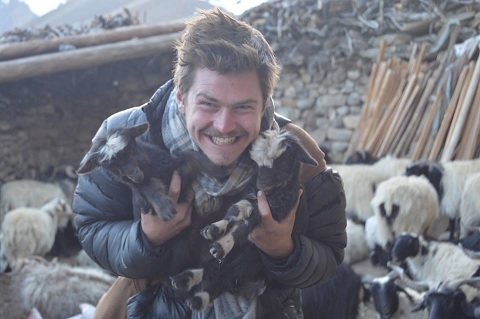 Joyeux Noël! Seasons Greetings! Lep božič in srečno novo leto! Среќен Божиќ! God jul! 聖誕快樂吧。Baxtalo Krećuno thaj Baxtalo Nevo Berš! It’s almost Christmas! 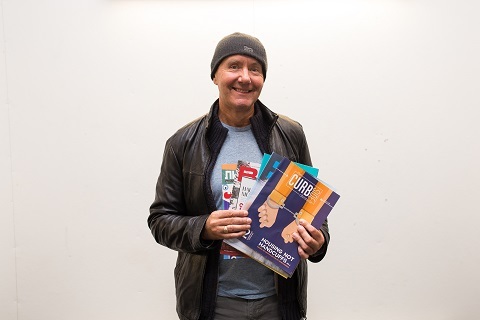 Open today’s #INSPadvent window to meet Big Issue vendor Paul. 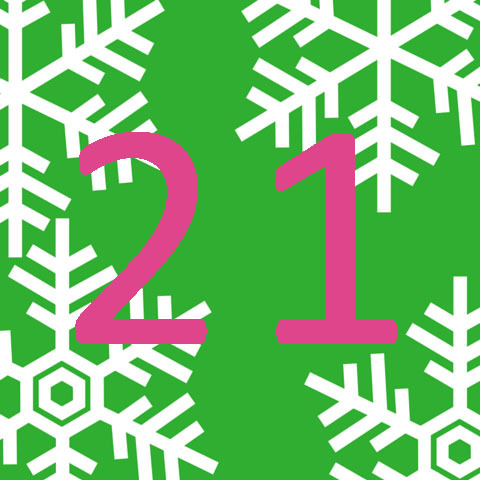 Today in the #INSPadvent calendar, we learn that Xmas is associated with new shoes in Nigeria. Open the window to read asylum seeker Pascal’s story from his new home, Austria. 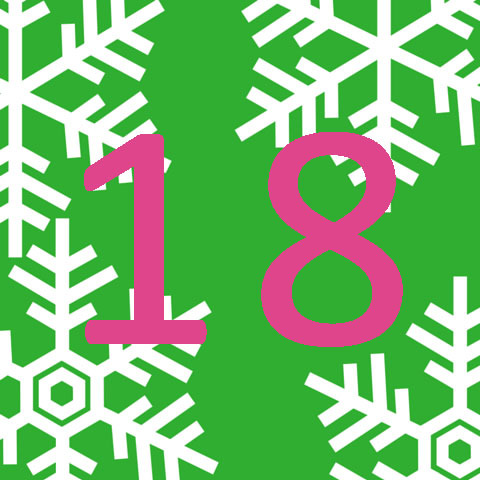 #INSPadvent is in Dortmund today. 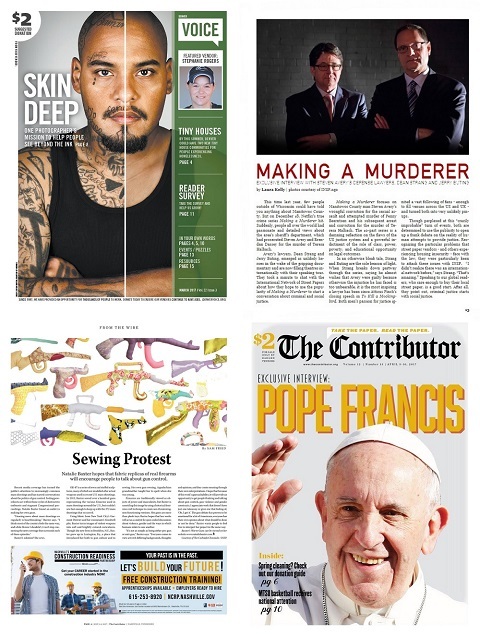 Throughout December, we have messages from street paper vendors. Open today’s window in our celebratory advent calendar.